You may not want to hear this, but the role of the CPA firm is changing. Blame information technology, which has been driving more than a decade worth of changes in every industry on the planet. While accountants may be the last hold out on moving to the cloud, they are going, however reluctantly. Like it or not, today’s new business models all incorporate digital technologies. As CPA firms begin to change their workflows to accommodate these new trends, they are turning to IT consultants to help assess and manage their critical business infrastructures. Let’s look more closely at how your accounting business could benefit from an IT consultant, and what trends are driving the need for outsourcing. Even 45% of business owners, aged 56 and older favor digital accounting models over old school paper trails. It’s the convenience of Internet models that have these business owners hooked, according to the study. The benefit of accessing documentation whenever you need it, plus the easy collaboration that comes with Internet models are increasingly popular, whether you own a business or just work in one. The survey also showed that the younger the client, the more they prefer digital accounting models. 55% of those polled said that the customer of the future would spend time each day interacting with virtual or augmented reality apps. This melding of real life and the virtual world is a trend that will impact every industry – including accounting. How these trends impact the future accounting state can be seen in the groundbreaking IBM Watson and H&R Block partnership. We’ve written about this phenomenon in the past because we believe it is the single most startling innovation to hit traditional accounting since QuickBooks went online. The new user experience at tax time includes an interactive touch screen-focused visit with your H&R Block tax consultant, and an artificially intelligent computer named Watson. Watson is a cognitive computer that learns via programmed algorithms. During their H&R Block session, Watson asks customers questions, and based on their answers, whisks them through the questions needed to complete their tax forms to maximize their refunds. Do you still think you don’t need an IT consultant? Get a free assessment of your firm’s ability to adapt to these trends. Teasing aside, one key benefit of hiring an IT consultant is that they can provide crucial insight into network security and even help your firm have a better understanding of how individual actions can negatively affect data. While we’ve written about the risks of cyber security breaches in CPA firms in the past, this is one of the biggest benefits of an IT consulting firm. Not only will they be able to assess the risk – they will be able to mitigate it with encryption, firewalls, and intrusion detection protocols that are deployed 24/7/365. The size of your CPA firm doesn’t matter – because it’s your client’s data that these hackers want. Disaster recovery and continuity plans: Let’s face it, we live in an uncertain world where one fire, tornado, or act of theft, could impede business-as-usual. IT consulting firms can help you create and implement a plan to increase real time data backups into the cloud, so that no matter what crisis occurs, you will be able to retrieve not just mission critical data – but all data. Productivity, speed, and collaboration: IT consultants can assess your firm’s workflows and processes to determine if technology solutions are available to help you do more with less. From eliminating legacy platforms to consolidating stored paper into digital formats to storage of all data in cloud computing models, IT consultants can help your accounting firm leverage the latest in technology insights to work smarter and faster. Improving accessibility: Is your accounting firm making use of work-from-home models that would help you attract top talent? Would your clients benefit from mobile access to their returns? The key to harnessing today’s digital infrastructures includes the ability to enable access to data from wherever we are. An IT consultant can set up virtual or on-premise servers with secure remote access baked in, or establish public or private cloud computing frameworks to modernize your accounting business. Reporting: Reviewing, sorting, and analyzing financial data is easier with the latest in digital software. Accounting firms of all sizes are considering the implementation of software models that are more flexible and robust than legacy QuickBooks or other accounting platforms. IT consultants can help your firm develop strategies, vendor requirements, and roll out training for implementation of enterprise resource planning software, new accounting modules, and much more. These models can reinvigorate your accounting business models so that financial reporting, cash flow statements, profitability reports, and more, can all be accessed quickly and reported on in real time. While these are some of the practical ways an IT consultant could help your accounting firm, let’s talk about how these professionals could actually help with add-on services that could differentiate your firm. A few years ago, The Economist had a great article on how traditional consulting firms should change their models to become operational and financial consultants. 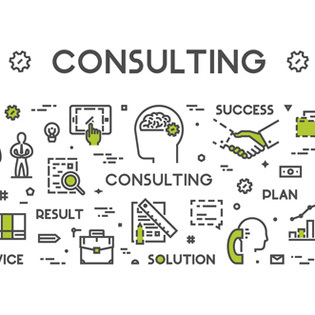 This gives rise to the question of whether it’s time for traditional accounting firms to expand their repertoire to include a consulting framework. To do this, accountants must learn to embrace technology and view it not as an encroachment on their value to customers, but as a way to enhance the need for their servicers. An IT consultant can help facilitate the move from a one-service tax accountant to a trusted financial advisor by assisting in the use of new technologies to expand service offerings. Accountants can leverage business intelligence tools to create client dashboards that can help in predicting trends in supply and demand – which would be incredibly helpful to the small to mid-size business. Financial analysis, strategy development, and more are all easier to offer to clients with the latest software in hand. Cloud computing models – Public, private, and hybrid cloud models exist, and an IT consultant can help you determine which is right for your firm. Tax software innovations – How could these innovations streamline efficiencies and reduce the margin of error on all accounting documents? Mobile accounting models – Could adoption of these models improve access to your services on any digital device? OCR technology – that allows accountants to streamline data archiving by converting paper scans, PDF file, or other images into searchable libraries. Social media – Discussion of how to use it effectively to build the firm’s brand image all fall under the purview of an IT consultant. 90% of small to mid-size businesses will install cloud-computing models. 90% of small to mid-size accounting firms will be managing their practices with software in the cloud. 80% of revenues in the accounting field will come from business advisory services. It’s clear that traditional accounting is undergoing a seismic shift in the business model. IT consulting can help your firm proactively adjust to the latest trends, shift service models, and create a new, digital framework for everything from security to reporting. Preparing for these shifts means engaging in workflows and new ways of doing business. IT consultants can help your accounting practice stay relevant in the marketplace by helping leverage the best technology has to offer. Request a quote for IT consulting today.